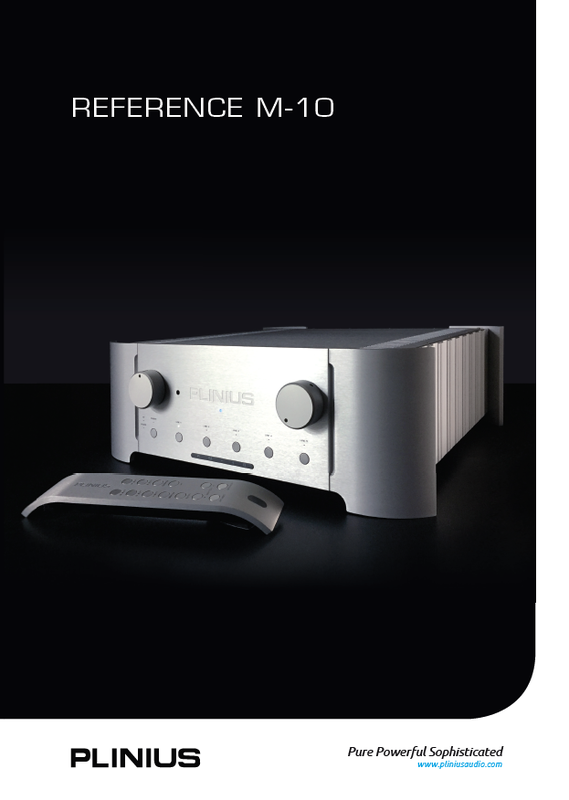 The Reference M-10 is an entirely new, fully discrete, dual mono preamplifier, designed from the ground up. It is the culmination of decades of experience and the constant pursuit of excellence in electronic design. 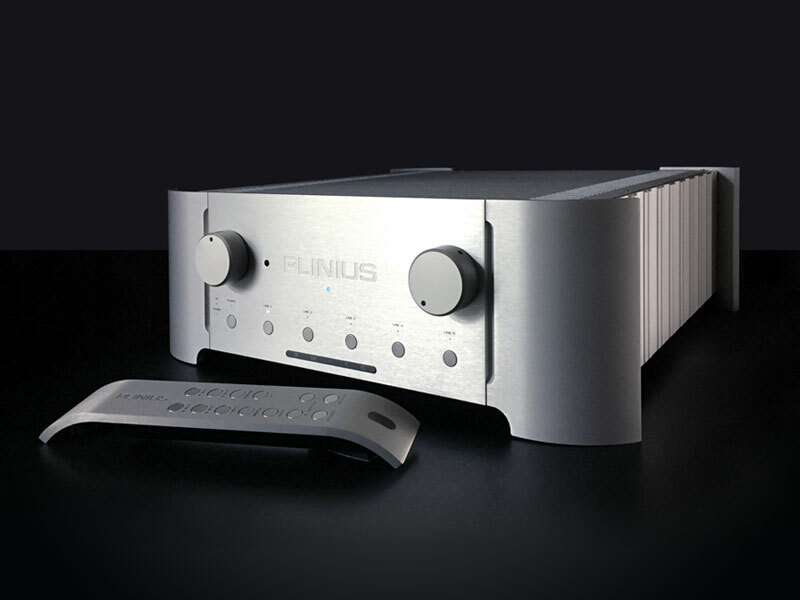 The Reference M-10 is testament to Plinius’ relentless quest to produce a preamplifier that reveals extraordinary audio detail. At this crucial beginning of the signals journey low value, audio grade resistors are used to minimise noise and, when combined with the adjustable gain feature result in sound without distortion or unnecessary colour, this is pure, powerful sound. Lovers of high-end audio reproduction will be impressed with the Reference M-10’s uninhibited ability to supply pure detail to the matching Reference A-300 power amplifier. We believe the Reference M-10 can hold its head up amongst the world’s best performing preamplifiers. The Line out provides a line level output, carrying the selected source signal. The Line Out allows for the signal to go on to recording equipment, headphone amplifiers or sub-woofer speakers. In order to integrate more effectively into a home theatre system, the Reference M-10 has a remote trigger input socket on the rear panel. By connecting a processor or source component with a remote trigger signal to this socket, the Reference M-10 can be switched between HT Bypass and standby modes. When in standby the preamplifier draws less current and will operate at minimum temperature. This may be of advantage in multi-amplifier and/or remote installations. 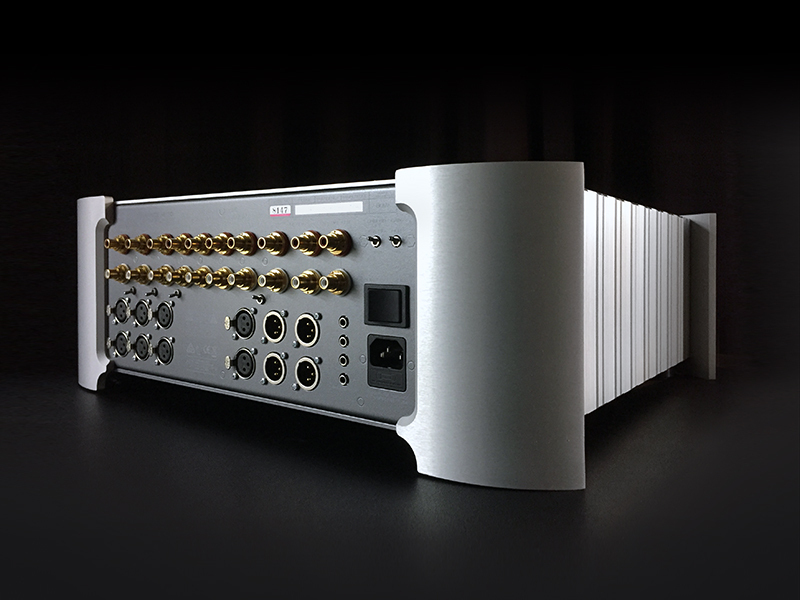 The Reference M-10 also features two remote trigger output sockets. By connecting this trigger output to other system components, the entire system can be put in and out of standby by the source component. High quality WBT RCA and Neutrik XLR input and Output connectors are fitted to ensure a high performance, low distortion interface between your cables and the preamplifier. The balance control adjusts the volume level between left and right. This can assist with equalising channel balance where a recording or speaker placement is not optimal. The gain switch allows adjustment of the Lineamp amplification factor. High gain offers a similar level to most preamplifiers, while low gain allows further improvement in distortion levels and can assist where multiple instances of XLR connections result in too much gain in the complete system.